Home › Billing › Can I update or change my credit card information for my automatic billing online? Can I update or change my credit card information for my automatic billing online? Yes. There are two ways to update or change your credit card information for your automatic billing online. First is through your online Account Manager and second is with the help of our Support Team by phone. Go to your internet service provider’s home page and click on Account Management / Manage my Account. Log in to your account Username and Password. 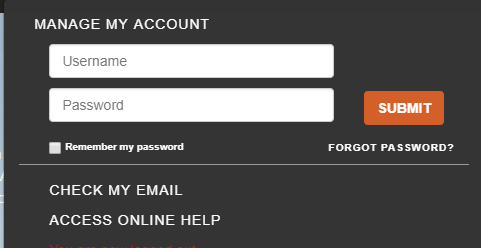 If you are not sure with your login credentials, simply click the option for password recovery. Once logged in, click Payment Information from the options at the left. Click the pen icon under Action. This will allow you to Edit your Credit Card on file. If you would like to add New Credit Card, just click the add new credit card button. Enter the new details of your existing credit card. Do not forget to click Save to successfully save the changes. ‹ How do I change my email password online?